The first sight of Kabul is the road from the airport. Armored anti-aircraft guns bask in the reddish light of the dusty highland on a background of bullet-sprayed walls. There you also see the first Afghans. Boys of all ages swarm the streets, like in any other Middle Eastern town. Here, however, their clothes are more ragged and their shoes made of rubber. They look lonelier, and they seem very busy. That is, they are looking for something to do, anything that can bring some money into their families. They sell plastic bags and look for used ones. They repair tires and push carts. They beg and clean the pavements. They pull their legless relatives and carry goods to the market. The girls are more conservatively dressed and less conspicuous. You can catch a glimpse of them while they tend to their younger brothers in the alleys bordered by rubble or when they accompany their mothers to the main bazaar, of course, before they disappear under the burka - a die-hard practice that no western tank has erased. 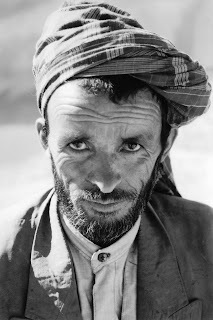 Afghanistan, years after the Taliban were overturned, is still a country with a ravaged past and an uncertain future. Millions of children, women, and men have perished in the cruelty of over twenty years of war. An entire generation has known no peace, no normal life, and has been deprived of virtually any education. The infrastructure is in tatters, its huge needs barely scratched by too little rich countries’ money, too slowly dispensed. Half of Kabul and much of the country is still in rubbles. After having been exposed to years of hell, Afghanistan's dusty and fascinatingly eerie landscape looks like hell indeed. Still, children smile, and adults are as jovial as one can be when living on two dollars a day, somebody in the family has been killed somewhere, tanks are patrolling the streets, and peace is perhaps not going to last. For there is some hope, Afghanistan thinks, at least as long as international troops are around to somehow protect the popula-tion from factional strife and greed, to protect it from centuries of "might is right." Stability, and democracy, should be in the future of the people of Afghanistan. But force alone will not be sufficient to maintain peace, because Afghanistan’s illnesses are deeper than just a culture of violence. The journey into Afghanistan starts here.